Let’s face it; Top Gear’s Jeremy Clarkson is hardly a stranger to controversy now is he? This time, though, it seems that Jezza may have overstepped the mark one time too many. The BBC has suspended him from the show and they have now also pulled the last few episodes of the current series of Top gear too, following and alleged incident where Clarkson punched a producer. Are the allegations true? We wait to see. In the meantime, here is a list of Clarkson and Top Gear boo boos that have lead up to Clarkson and Top Gear’s suspension from our TV screens, for the time being anyway. In October 2014, the Top Gear team had to beat a hasty retreat from Argentina after parading a number plate on a car that referred to the Falkland’s war. The Top Gear crew was attacked by an angry mob over the number plate: N982 FKL, allegedly referring to 1982, the year of the Falklands war. In July 2014, Ofcom ruled that Clerkson had broken broadcasting regulations by using a racial slur during Top Gear’s Burma special. Having built a bridge over the River Kwai, Jeremy Clarkson commented “That is a proud moment… but there’s a slope on it.” Apparently in reference to a Burmese man walking over their bridge. In May 2014, Clarkson was seen on a leaked video, completing the old children’s nursery rhyme “Eeny, meeny, miny, moe...”, complete with the offensive “n” word. The scene was never broadcast, but it was leaked to the Daily Mirror. Clarkson later apologised and “begged forgiveness”. In October 2012, Jeremy Clarkson made comments along the lines that looking at a particular camper vans was as difficult as looking at someone with a facial disagreement. Top Gear was found guilty of breaching the BBC’s guidelines on harm and offence. Jeremy Clarkson , in Top gear’s 2012 January India Special, stated that a toilet that had been fitted into the boot of a car was "perfect for India because everyone who comes here gets the trots." The comment drew complaints for Indian diplomats. 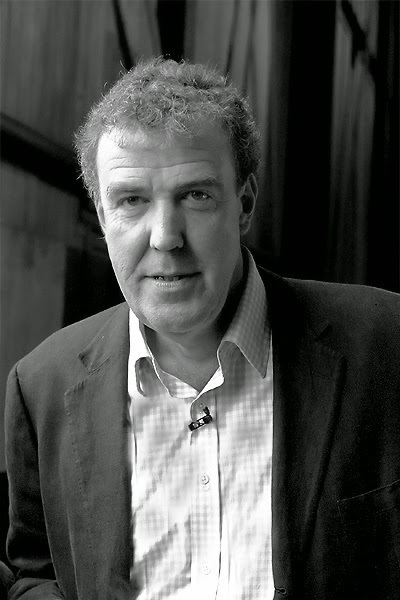 In February 2011, the BBC was forced to apologise to Mexico following an episode where Jeremy Clarkson and his colleagues made derogatory comments about Mexican people. In the show, they labelled Mexicans as being "lazy" and “feckless"
When I began writing this post, I started out with the express intention of joining the “Reinstate Clarkson” campaign. As I researched and read more, though, the less indignant I became about the suspension of Clarkson and the cancelling of the Top gear series. I love Top gear and love how irreverent the show is, but guys; you are broadcasting a prime time show that is watched by people all around the world. You can’t say things like this anymore and you certainly can’t punch your producer! Not if you want to stay on air, that is.